Information submitted in a nomination letter to the U.S. National Ski Hall of Fame by Mort Lund. Clif Taylor, a ski instructor at the Mad River Ski School in Vermont, was intrigued by the efficiency of goon skis, as they were called, in helping beginners get going on skis. The goon skis came in various lengths and Taylor noted that on the shorter lengths, skiers learned to ski faster. This was a fairly easy observation to make and many skiers have made it as well as many instructors. Taylor was the only man to take the observation and make it into a revolution. In 1955, Clif Taylor moved to Brattleboro, Vermont and taught skiing to the members of the local Outing Club. He had a willing audience for a number of skiers had cut down full length skis to make it easier to ski. Using the Outing Club as a base, Taylor started experimenting with new ski designs of a length shorter than anything before, with exception of short European glacier skis, which had been used for special conditions. First he made a five-foot, nearly straight-sided ski that he used in classes to teach beginners and sold to skiers at Hogback who had already been used to skiing on short skis. Not content with his considerable success there, Taylor next scaled his ski down to a three-footer, a previously unheard of length. The success of his teaching beginners at Hogback on this ski, led to the founding of Shortee Skis, the first firm dedicated to using specific teaching skis. At that time, the Austrian wedel turn had started to capture the imagination of the skiing public. Taylor found he could teach himself to wedel much more easily on his three-footers than on regular length skis and he tried it on beginners. For the record, during the winter of 1958-59 he developed a “direct parallel” or wedel-like method to learn skiing so that skiers who had never skied before could go directly to linked short turns which made progress incomparably easier, simply because the short turn was a turn enabling skiers to brake quickly, progressing to intermediate skiing hills within a few days, a feat reserved for the top one percent of skiers. The method was refined at Killington, Vermont, with Taylor’s help under Karl Pfeifer, to a five day ski week method, beginning on three-footers, progressing through four and five footers through the week. The method, whose development was encouraged by SKI Magazine, became known as the Graduated Length Method or GLM. Not all schools took to the radical new approach immediately, so another method, American Teaching Method, inspired to a great extent by GLM, was developed by PSIA, the Professional Ski Teacher’s Association. These two methods predominate in ski teaching today in the U.S. and with modifications in most of the better European schools. The short teaching ski and the easier direct parallel of GLM and the “wedge” or gliding snowplow of the American Teaching Method owe their existence directly to the original experiments Taylor made with his Shortee Skis. For the first time, an American had changed the ski teaching of the world. In the 1970s, he coached the PSIA GLM Demonstration at the World Congress of Skiers in Garmisch, Germany. Not only teaching – the regular run of skiers also began using shorter skis. Between 1960 and 1970, the average length of the ski used by skiers in this country dropped nearly twelve inches, to the vast improvement in the ease of skiing for everybody. Thus, Taylor’s influence was not just on ski design and not just on teaching method, but on the recreational sort as a whole. The skier of today who is using shorter skis inspired by the short ski movement which Taylor sparked is in debt to Clif Taylor, who was so intent on making it easier to learn how to ski that he ignored the great resistance of the ski world to his quite unprecedented way of looking at things until his ideas were ascendant. And so they have remained in a large sense. This is to be considered a milestone in the rise of a “ski week” which nearly guarantees the non-skiing civilian pleasure rather than pain on his introduction to the sport. The results of this in terms of skiers and happier skiers today is almost incalculable. 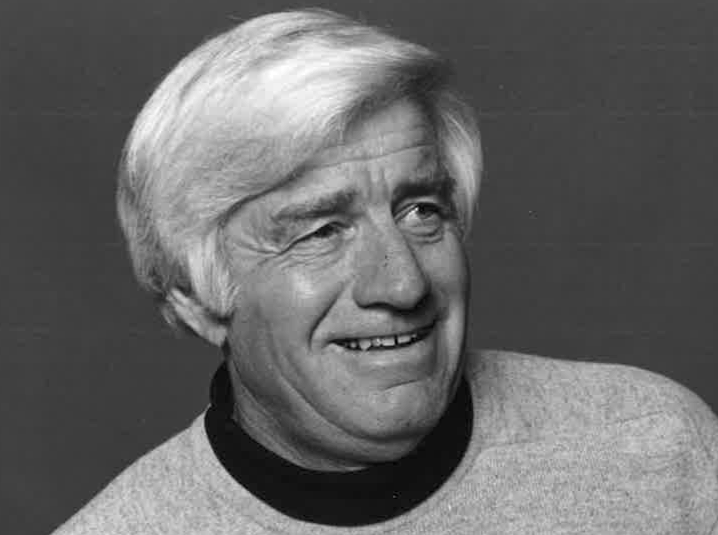 In addition to producing 20 ski instruction videos, Taylor wrote three books: Instant Skiing (1961), Ski in a Day (1964) and GLM –The New Way to Ski (1973). Clif Taylor was elected to the U.S. National Ski Hall of Fame in 1979, the Colorado Ski Hall of Fame in 1999 and the Vermont Ski Hall of Fame in 2003. If you notice any errors or inconsistencies in Clif Taylor's bio, click here to let us know.